Is the Walkman on the comeback trail? Remember the good old Walkman? Somebody does, it seems, as it has just outsold the iPod for the first time in over four years. Admittedly, the seismic shift happened only in Sony's home territory of Japan, but at least it's something of note. 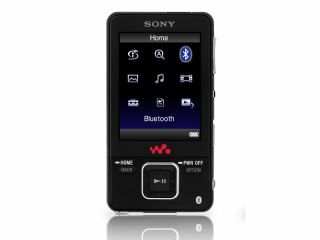 Retail analyst BCN compiled sales data for all the leading digital audio players and found that the Walkman product line snared 43 per cent of the market during the last week of August. Alas for Apple, combined iPod sales fell just short at 42.1 per cent, handing Sony the crown for the first time since 2005. Still, BCN says Apple will bounce back when its expected new iPods hit the streets later this month. Oh, and there's one small factor called the iPhone the sales charts overlooked - it wasn't counted in Apple's favour because it doubles as a telephone as well.